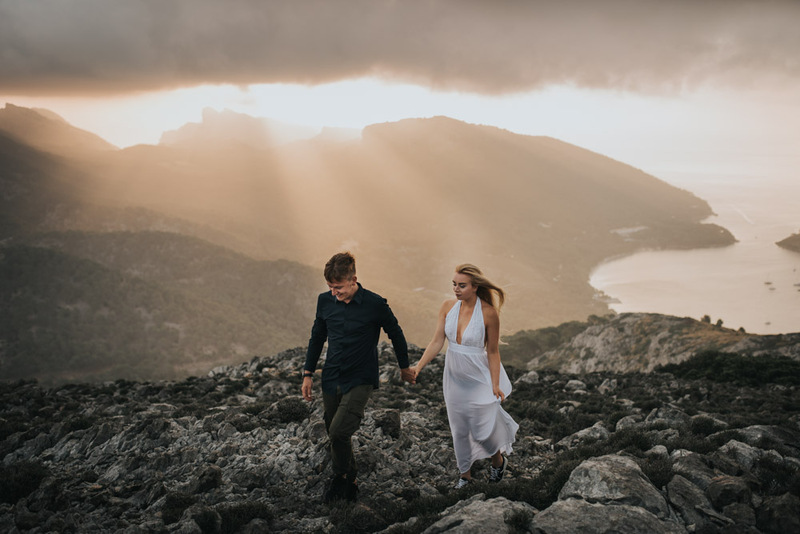 l wished for a special engagement photography session. . Because they had anyways planned a summer holiday in Mallorca, it was an ideal time to do the engagement photo shoot at the same time. Mallorca has many spectacular landscapes. The mountains were especially fascinating for us to use as a setting. 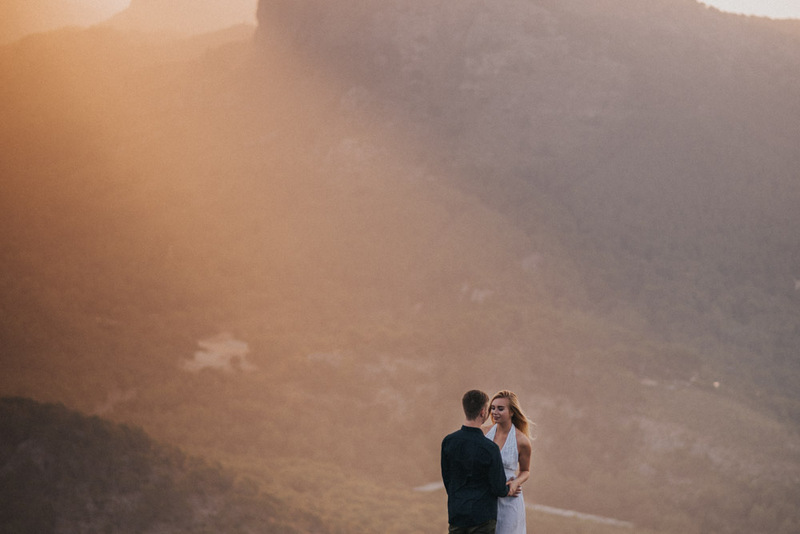 Anna and Pascal were open to many ideas and immediately said yes when we proposed to have the photo shoot at sunrise in the mountains. Such a stunning sunrise creates a very special mood, This was especially true in the summer, when everybody was still sleeping and only the birds and animals were slowly waking up. There is something magical when the day is slowly starting and you don’t know yet what it will bring. It is exactly this mood which shows up in the pictures of Anna and Pascal. 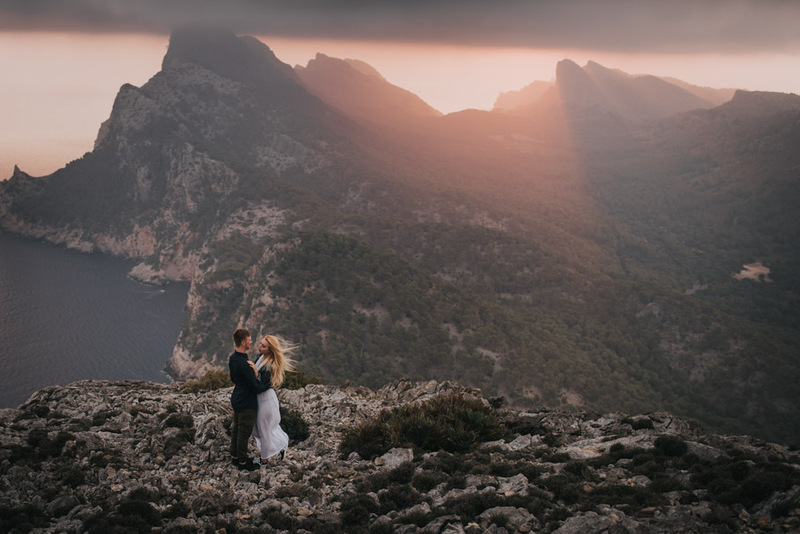 The intimacy of the photo shoot made everyone believe the couple owned the sunrise, the cliffs and the ocean for themselves. . When the sun finally broke through the clouds and the landscape was bathed in orangeand red , we were able to capture the perfect moment.